This download features 12 Disney princesses. You get cupcake toppers and garlands, and this set coordinates with all our Disney Princess printables. This download makes is easy to mix and match so that you can have the party of your little one's dream! 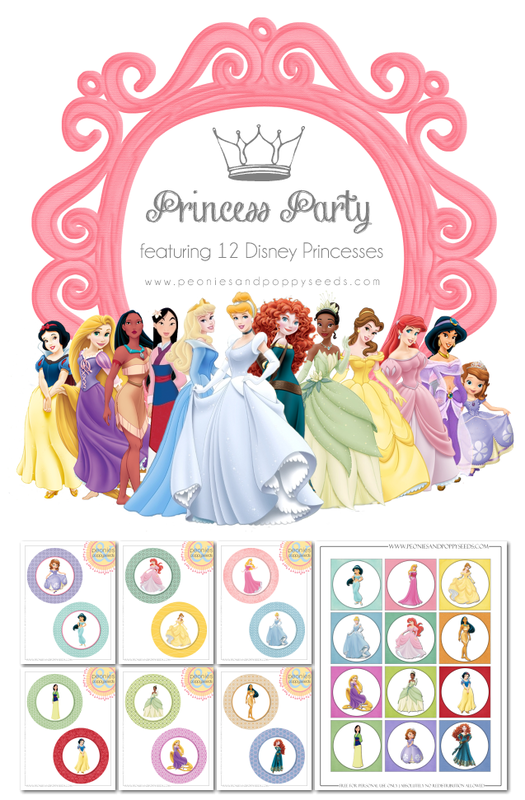 For the other princess printables, click the links below!